The powered industrial truck (PIT) operator training requirements apply to all industries where trucks are being used, except agricultural operations. Q: What is the definition of a powered industrial truck? A: Any mobile power-propelled truck used to carry, push, pull, lift, stack or tier materials. Powered industrial trucks can be ridden or controlled by a walking operator. Q: Does OSHA require the employer to issue licenses to employees who have received training? Is certification required? A: No. The OSHA standard does not require employees to be licensed or certified. An employer may choose to issue licenses to trained operators. Q: I read about getting a "certification" from different trainers. What is it? A: There is no official "certification" or license that can be issued by anyone but your employer. Your employer certifies - guarantees - that you have been trained according to OSHA standards. Q: What does the standard require? Trained operators must know how to perform the job properly and safely as demonstrated by workplace evaluation. Formal (lecture, video, etc.) and practical (demonstration and practical exercises) training must be provided. Employers must also certify (document) that each operator has received the training and evaluate each operator at least once every three years. Prior to operating the truck in the workplace, the employer must evaluate the operator's performance and determine the operator to be competent to operate a powered industrial truck safely. Refresher training is needed whenever an operator demonstrates a deficiency in the safe operation of the truck. Q: Who conducts the training? 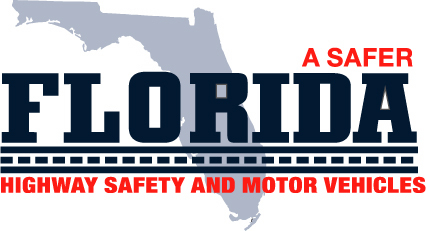 A: Suncoast Safety Council provides both the formal classroom training and hands-on training for a wide variety of powered industrial trucks. The employer must train operators of the different types of trucks they will use and provide site specific safety training. The employer must ensure that each powered industrial truck operator is competent to operate a truck safely, as demonstrated by the successful completion of the training and evaluation. Q: What type of records or documentation must I keep? A: The OSHA standard requires that the employer certify (guarantees) that each operator has received the training and has been evaluated. The written training record must include the name of the operator, the date of the training, the date of the evaluation, and the identity of the person(s) performing the training or evaluation. Q: How long must I keep the training records? A: Employers who evaluate the operator's performance more frequently than every three years, may retain the most recent training record; otherwise, records must be maintained and updated every three years. Q: Is annual training required? A: No. An evaluation of each powered industrial truck operator's performance is required to be conducted after initial training, after refresher training, and at least once every three years. Q: How often must refresher training be given? 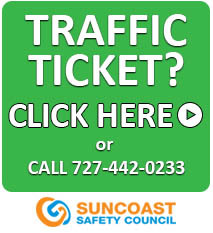 A: Suncoast Safety Council recommends operators attend our classroom training every three years to ensure they have the latest safety information, and to refresh their knowledge of safe operations. Q: Do I have to train all employees in my workplace? A: Yes. Any employee who operates a powered industrial truck must be trained. Q: I only have powered hand trucks (pallet jacks) in my workplace. Do the training requirements cover the operators of this type of vehicle? The operator works alongside the unit while holding onto the handle to guide it. A: Yes. The use of powered hand trucks present numerous hazards to employees who operate them and those working in the area where they are used. These questions and answers are intended only as a general description of the Powered Industrial Truck Operator Training Requirements. It does not carry the force of legal opinion. 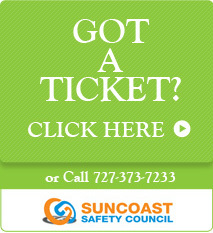 For more information e-mail Suncoast Safety Council at suncoast@safety.org or call 727-442-5121.